Area Sales Manager and Product Specialist. Abbas enjoyed studying in the heart of London while at City, not least being surrounded by dynamic personalities and “inspirational” academic staff. After qualifying with a BSc Optometry, Abbas initially worked as a freelance optometrist to allow him to explore his career options. It led him back to City as a Clinical Tutor and he went on to become a Clinical Skills Tutor and Lead Clinician. I just knew I wanted still to be part of that even after graduating and that determination led me to where I am today. He has since joined leading optical equipment manufacturer Topcon as a Clinical Affairs Specialist and currently holds the position of Area Sales Manager and Product Specialist. He cites showing his gratitude to City with the incorporation of a fully sponsored and equipped Teaching Suite and a personal acknowledgement from the Dean as the highlight of his career so far. 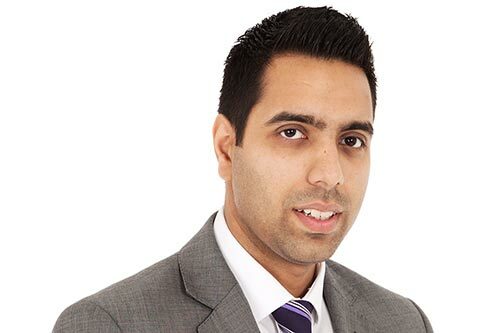 His aims are to help the next generation of eye practitioners, become involved in global product development and “help revolutionise the way eye care is perceived and practised through modern advances in automated technology”.